This article is about the year 1843. For the magazine, see 1843 (magazine). Wikimedia Commons has media related to 1843. 1843 (MDCCCXLIII) was a common year starting on Sunday of the Gregorian calendar and a common year starting on Friday of the Julian calendar, the 1843rd year of the Common Era (CE) and Anno Domini (AD) designations, the 843rd year of the 2nd millennium, the 43rd year of the 19th century, and the 4th year of the 1840s decade. As of the start of 1843, the Gregorian calendar was 12 days ahead of the Julian calendar, which remained in localized use until 1923. The House of Jamalullail is established at Perlis Darul Sunnah (now known as Perlis Darul Sunnah, Malaysia). Serial publication of Charles Dickens's novel Martin Chuzzlewit begins in London; in the July chapters, he lands his hero in the United States. Edgar Allan Poe's Gothic short story The Tell-Tale Heart is published in a Philadelphia magazine. The Quaker magazine The Friend is first published in London. Shaikh Ali bin Khalifa Al-Khalifa captures the fort and town of Riffa after the rival branch of the family fails to gain control of the Riffa Fort and flees to Manama. Shaikh Mohamed bin Ahmed is killed at the battle, called the Battle of Hunayniya. January 3 – The Illustrated Treatise on the Maritime Kingdoms (海國圖志, Hǎiguó Túzhì) compiled by Wei Yuan and others, the first significant Chinese work on the West, is published in China. January 6 – Antarctic explorer James Clark Ross discovers Snow Hill Island. January 20 – Honório Hermeto Carneiro Leão, Marquis of Paraná, becomes de facto first prime minister of the Empire of Brazil. February 3 – Uruguayan Civil War: Argentina supports Oribe of Uruguay, and begins a siege of Montevideo. February 6 – The Virginia Minstrels perform the first minstrel show, at the Bowery Amphitheatre in New York City. February 8 – An earthquake hits the Caribbean island of Guadeloupe, killing 1,500-5000 people. February 11 – Giuseppe Verdi's opera I Lombardi alla prima crociata premieres at La Scala in Milan. February 14 – The event that inspired the Beatles song Being for the Benefit of Mr. Kite! is held in England. February 25 – Paulet Affair: Lord George Paulet occupies the Kingdom of Hawaii, in the name of Great Britain. March 8 – The Danish government re-establishes the Althing in Iceland as an advisory body, by royal decree. March 11–14 – Eta Carinae flares, to become the second-brightest star. March 13 – Catawba County, North Carolina is created, and its first court is held in Mathias Barringer Jr.'s house. March 15 – Victoria, British Columbia, is founded by the Hudson's Bay Company as a trading post and fort. March 16 – The city of Petrópolis is founded by the government of Brazil. March 21 – The world does not end, contrary to the first prediction by American preacher William Miller. March 24 – Battle of Hyderabad: The Bombay Army, led by Major General Sir Charles Napier, defeats the Talpur Emirs, securing Sindh as a province of British India. March 25 – Marc Isambard Brunel's Thames Tunnel, the first tunnel under the River Thames and the world's first bored underwater tunnel, is opened in London. April – Eta Carinae is temporarily the second-brightest star in the night sky. May 4 – Natal is proclaimed a British colony. May 18 – In Edinburgh, the Free Church of Scotland is disrupted from the Church of Scotland. May 22 – The first major wagon train headed for the American Northwest sets out with 1,000 pioneers from Elm Grove, Missouri, on the Oregon Trail. May 23 – Chile takes possession of the Strait of Magellan. June 6 – In Barbados, Samuel Jackman Prescod is the first non-white person elected to the House of Assembly. June 17 – In New Zealand, a posse of British settlers sent to arrest Māori chief Te Rauparaha clash with members of his Ngāti Toa tribe, resulting in 26 deaths. June 21 – Edgar Allan Poe's short story The Gold-Bug begins serialization in American newspapers. July 1 – Ulysses S. Grant (21st) and John J. Peck (8th) graduate from a class of 39 at the United States Military Academy, West Point. July 12 – Origin of Latter Day Saint polygamy: Joseph Smith, founder of the Latter Day Saint movement in the United States, receives a revelation recommending polygamy. 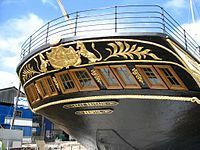 July 19 – Isambard Kingdom Brunel's SS Great Britain is launched from Bristol; it will be the first iron-hulled, propeller-driven ship to cross the Atlantic Ocean. July 25 – Père Antoine Désiré Mégret, a Capuchin missionary, purchases for $900 the land that will become Abbeville, Louisiana, a town founded by descendants of Acadians from Nova Scotia. August 1 – Brazil becomes the second country, after Great Britain, to issue nationally valid postage stamps, with the release of its Bull's Eye series. August 15 – Tivoli Gardens, one of the oldest still intact amusement parks in the world, opens in Copenhagen, Denmark. September – Ada Lovelace translates and expands Menabrea's notes on Charles Babbage's Analytical Engine, including an algorithm for calculating a sequence of Bernoulli numbers, regarded as the world's first computer program. September 2 – The Economist newspaper is first published in London (preliminary issue dated August). September 4 – Emperor Dom Pedro II of Brazil marries Dona Teresa Cristina of the Two Sicilies, in a state ceremony in Rio de Janeiro Cathedral. September 15 (Sept. 3, O.S.) – A Popular uprising in Athens, Greece, including citizens and military captains, demands from King Otto a liberal Constitution from the state, which has been governed since independence (1830) by various domestic and foreign business interests. October 3 – Elling Eielsen was ordained as the first Norwegian Lutheran minister in the United States. Søren Kierkegaard's philosophical book Fear and Trembling is first published. William Rowan Hamilton discovers the calculus of quaternions and deduces that they are non-commutative. November 17 – The city of Shanghai opens for trade with foreigners for the first time, welcoming a party of traders from the United Kingdom. November 25 – Mount Etna erupts in Italy, and kills 69 people in the village of Bronte. December 9 – Bishop's University is founded as Bishop's College by Bishop George Jehoshaphat Mountain in Lennoxville, Quebec, for the education of members of the Church of England. December 13 – Basutoland becomes a British protectorate. December 17 – Charles Dickens's novella A Christmas Carol is first published in London, England. Released on December 19, it sells out by Christmas Eve. December 21 – The first total solar eclipse of Saros 139 occurs over southern Asia. December – The world's first Christmas cards, commissioned by Sir Henry Cole in London from the artist John Callcott Horsley, are sent. James Joule experimentally finds the mechanical equivalent of heat. The steam powered rotary printing press is invented, by Richard March Hoe in the United States. Saint Louis University School of Law becomes the first law school west of the Mississippi River. Germans from the Black Forest region of Southern Baden migrate to Venezuela. ^ Hao, Yen-p'ing; Wang, Erh-min (1980). Fairbank, John King; Twitchett, Denis Crispin (eds.). The Cambridge History of China: Late Ch'ing 1800-1911. Cambridge History of China. 11. Cambridge University Press. p. 148. ISBN 978-0521-2202-93. ^ Leonard, Jane Kate (1984). Wei Yuan and China's Rediscovery of the Maritime World. Harvard East Asian Monographs. Cambridge, Massachusetts: Council on East Asian Studies, Harvard University. ISBN 978-0674-9485-56. ^ "Guadeloupe Earthquake, Antilles, 1843". The Illustrated History of Natural Disasters. Springer, Dordrecht. April 3, 2018. pp. 163–163. doi:10.1007/978-90-481-3325-3_38. ISBN 978-90-481-3324-6. ^ "Emperor Street". World Digital Library. 1860–1870. Retrieved August 24, 2013. ^ "Royal Visit". The Bristol Mirror. July 20, 1843. pp. 1–2. ^ Fuegi, John; Francis, Jo (October – December 2003). "Lovelace & Babbage and the creation of the 1843 'notes'". IEEE Annals of the History of Computing. 25 (4): 16–26. doi:10.1109/MAHC.2003.1253887. ^ "Ada Byron, Lady Lovelace". Archived from the original on July 21, 2010. Retrieved July 11, 2010. ^ Menabrea, L. F. (1843). "Sketch of the Analytical Engine Invented by Charles Babbage". Scientific Memoirs. 3. Archived from the original on September 13, 2010. Retrieved October 1, 2010. ^ "William Rowan Hamilton Plaque". Geograph. 2007. Retrieved March 8, 2011. ^ Palmer, Alan; Veronica (1992). The Chronology of British History. London: Century Ltd. pp. 266–267. ISBN 978-0-7126-5616-0. ^ Dickens, Charles (2006). Douglas-Fairhurst, Robert (ed.). A Christmas Carol and other Christmas Books. Oxford world's classics. Oxford University Press. ISBN 978-0-19-280694-9. ^ Buday, György (1992). "The history of the Christmas card". Omnigraphics: 8. ^ Joule, J. P. (1843). "On the Mechanical Equivalent of Heat". Abstracts of the Papers Communicated to the Royal Society of London. 5: 839. doi:10.1098/rspl.1843.0196. Retrieved January 27, 2012. ^ Meggs, Philip B. (1998). A History of Graphic Design (3rd ed.). Wiley. p. 147. ISBN 978-0-471-29198-5. It receives U.S. Patent 5,199 in 1847 and is placed in commercial use the same year.